It’s been nearly two months since we opened the doors at Momosan Ramen & Sake, and we are so excited to see so many new faces on a daily basis. To those of you that have had to stand on line for a bowl of our noodles, thank you for waiting and for your patience as we learn and grow! If you have yet to dine with us, Momosan Ramen & Sake is a casual and welcoming place where you can stop by alone and grab a seat at the bar, or with a group and make new friends at one of our communal tables. For lunch, we offer combination lunch sets, featuring a mini don (rice dish), a bowl of our signature noodles, and pickled cabbage, as well as a selection of a la carte appetizers and noodles. Lunch service can be extremely fast paced, making it entirely possible that you make it back to the office before your boss even realizes you left. For dinner, we offer an even larger selection of appetizers, including peking duck tacos, yaki salmon and crispy mimiga (pig ear). 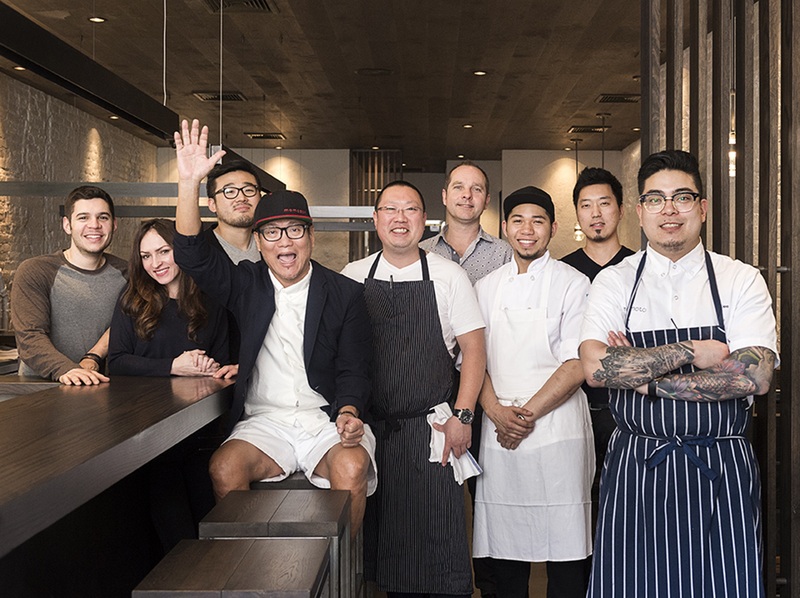 Our noodles are offered in two sizes (excluding tsukemen), and our sake is poured over the top of the glass, overflowing sake (and joy, as Chef Morimoto likes to say) into a traditional Masu box. We also offer a limited menu happy hour, at the bar, from 5-6 PM. Our menus provide unique and important information about sake drinking temperatures, which region our sakes are brewed (shown on a map), our special nobiru resistant noodles, and which portions of a pig are used for various dishes. Check back to this blog soon, as each month we will highlight unique techniques, ingredients and recipes in use at Momosan to further continue the educational process.